We were provided with complimentary viewing of the film for the purposes of review. All thoughts and opinions are my own. Images and Video property of LAIKA Studios and Focus Features, all rights reserved. The acclaimed animation studio LAIKA has once again created a remarkable animated world with a story that contains as much heart as it does visually stunning set pieces. 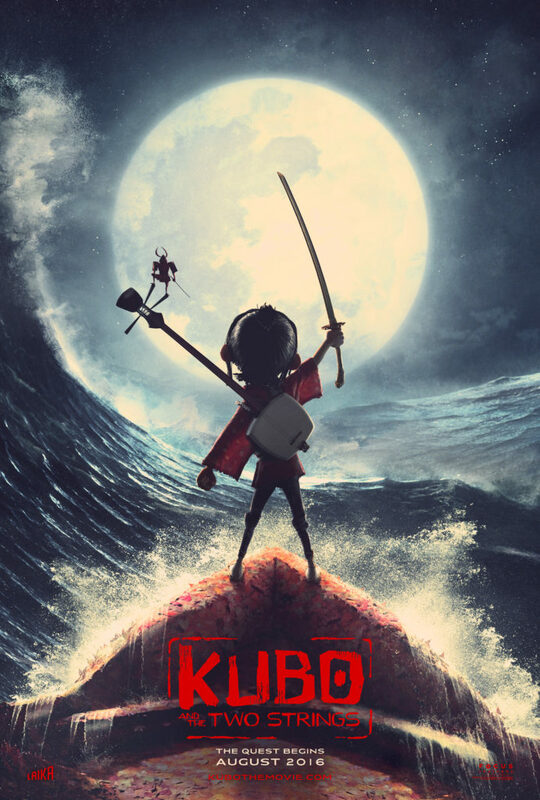 Kubo and the Two Strings tells the tale of a young boy, Kubo, who is left abandoned with his mother on the beach of a remote Japanese village. Unbeknownst to Kubo, he is the heir to a mystical heritage from his mother’s family and his warrior father’s legendary armor. The story is a hero’s journey with characters that accompany the young boy and a checklist of mystic objects that Kubo must retrieve to battle his evil grandfather; the Moon King. Along with his compatriots, Monkey (Charlize Theron) and Beetle (Mathew McAnaghey) Kubo encounters witches, massive skeletons, enchanted underwater creatures, and dragons in his quest. LAIKA really knocks it out of the park again with a simple and straight forward story told in a gorgeous and epic fashion. NO budget is spared with set pieces that feature eight foot tall stop motion figures and intricate details to even the smallest character embellishments and facial features. As a father it really touches me how much of the movie deals with Kubo coping with the loss of and limitations of family. Kubo often has to be a care taker and soul supporter of himself and his mother. His heritage is forced on him and you see a strong and independent person start to develop in his character as he accepts and adds his own personality to his destiny. The music in the film is also stunning. 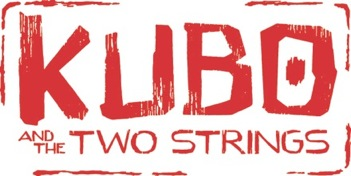 Kubo’s instrument, the Shamisen, serves a story telling device and also soundtrack blending traditional Japanese and modern orchestral music. I highly recommend this movie if your sons and daughters enjoy being challenged by a fantastic story or if they appreciate a gorgeously animated stop motion film. I look forward to seeing this again and to adding to our home library.